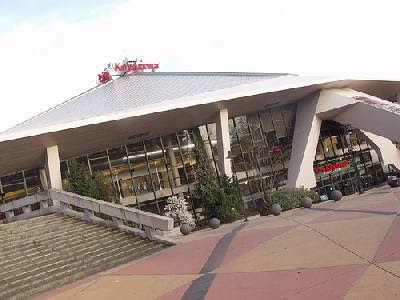 This could possibly be the final regular season game the Rockets ever play at the Key Arena in Seattle. With the T-Birds playing in a brand new, 80 million dollar building in nearby Kent next season, I thought I’d share some thoughts of my memories of a WHL arena that was clearly designed for anything but hockey. I remember my first visit to the Key Arena as the broadcaster of the Swift Current Broncos. Jeremy Reich was the most excited player on the bus as we arrived two hours before game time. Reich was traded by the T-Birds to Swift Current in the 1997-98 season and was as pleased as punch to be back. How excited was he? He gave me a quick tour of the joint, including showing me the shower stalls in a dressing room for the visiting NBA team. The shower stall was relatively normal, but the shower head was about 10 feet high. Obviously those shower heads had to cover the head of a 7 foot tall NBA Center. The 2005 playoff series between the Rockets and the Birds was crazy, and the focal point of the series would be on the Rockets success at the Key Arena. The Rockets had home ice advantage in the semi final but were unable to win games at home. The Rockets lost the first two games at what was known as Skyreach Place, forcing an up hill climb with games three and four back at the Key Arena. 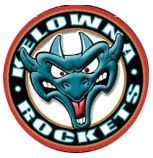 The Rockets would shutout the T-Birds 4-0 in game three and were a 7-0 winner in game four to send it back to Kelowna for game five. For the third time in the series the Rockets would lose at home, facing playoff elimination in game five back in Seattle. Yet again the road team would prevail, with the Rockets recording a 2-0 win at the Key. 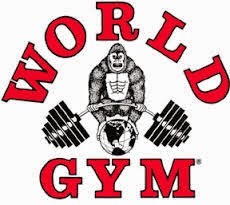 With the Rockets holding a 3-2 lead in the series, finally the home team would win for the one and only time. The Rockets wrapped up the best of seven with a 2-1 home ice win. What’s amazing is the Rockets didn’t allow a goal in three games in Seattle. Derek Yeomans would earn all three shutouts. Who would have thought he’d become a T-Bird two years later? I will always remember Kiel McLeod’s name being butchered by the Seattle public address announcer. He forever pronounced it ‘Keel’ over McLeod’s entire four year WHL career. The first time I heard it miss-pronounced, I turned off my mic and laughed. In future years it wouldn't phase me. No matter if the Rockets provided a pronunciation guide – in Seattle he was known as ‘Keel’. The T-Bird fans celebrating after a goal is a great memory. Don't get me wrong, I did not appreciate the home team scoring, but Gary Glitters ‘Rock and Roll’ would come blaring out of the sound system as everyone stood up and yelled out ‘Hey’ at the appropriate time. It was my first experience of an American crowd getting into the game vocally. It made the then Centennial Civic Centre in Swift Current sound like a morgue. No one did it better than the 4 to 5 thousand strong who attended games at the Key Arena in the late 90’s. Now fans just down the road – in nearby Everett – have taken the decibel meter to a new level. The Key Arena’s sound system is the best. Warm up is the best time to appreciate the shear volume and clarity that comes out of those speakers housed at center ice. The Key Arena is the home of the NBA’s Seattle Sonics, so the sound system was added for them specifically. That said the T-Birds benefit from a sound system, that to my ears is the best in the league. My chats with a young, up and coming coach by the name of Dean Chynoweth. 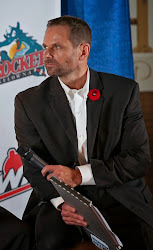 I conducted my fair share of interviews with the then T-Birds head coach because the Rockets played the T-Birds six times a season, not the four we are now accustomed too. Chynoweth would often joke with me over some odd ball question I was asking. Chynoweth didn't win many games in his time behind the Birds bench, but he was a pleasure to be around. He never took himself to seriously, nor that of a young broadcaster. The coffee. If you want to strong cup of joe – the Key Arena press room is the place to be. Seattle is known for its great coffee, so is it any surprise the Key Arena gave you the coffee jolt you were needing prior to game time? Trying to Dethrone a King - A Wheat King That Is! One Year of Blogging Under My Belt!